Are Your a.c. Inverters (Variable Speed Drives) Running at Maximum Efficiency? Energy efficiency is a prime consideration for machine designers, plant engineers and finance directors, with a seemingly constant stream of legislation designed to encourage industries to cut their energy usage. As a result there are a range of technologies available to help organisations optimise their energy use and reduce their carbon footprints. But is all of the applied technology fully optimised? It is a frequently quoted statistic that electric motors account for 60% of UK industrial energy usage. It is equally well-known that fitting an a.c. inverter to control the speed of a motor can save energy – so much in fact, that the purchase cost is usually recouped within 16–18 months. Importantly, an a.c. inverter also allows users to fit motors sized closer to their typical duty, affording further energy saving potential. Are users getting the most out of their inverters? Hundreds of thousands of a.c. inverters installed in countless applications across the country, saving users many thousands of pounds in energy costs. But are the users getting the most out of their inverters? Are they reaping all the potential energy savings? And how many a.c. inverter are set up to run at their maximum efficiency? It might be assumed, for example, that having fitted an a.c. inverter, you have achieved your energy savings potential – end of story. The inverter may certainly be optimising the speed of the motor by matching it to the requirements of the application. In high-duty pump and fan applications, this will mean taking advantage of the inverse square law of speed to energy consumption to deliver some significant savings in energy use. However, to really deliver the maximum energy savings, a.c. inverters need to be set up properly at the commissioning stage. This can be as simple as activating one parameter to turn on the inverters intelligent energy-saving mode. The first area to look at is nature of the load: is it constant or variable torque? The inverter can then be adjusted to match its output to the load, thus maximising the possible energy savings. While an inverter in constant-torque mode will still save energy compared to having no inverter at all, optimum savings will only be achieved in variable-torque mode if the connected load is a pump or fan – although some types of pump require the constanttorque setting. This needs to be set up when the inverter is installed. Again, this is normally as easy as adjusting one parameter. Furthermore, many a.c. inverters now have specific energy-saving modes, with dedicated algorithms tailoring the profiles of their outputs for greater optimisation. For example, Mitsubishi Electric’s FR-F800 a.c. inverter – a dedicated product aimed at pump, fan and compressor operations – offers energy-saving modes that can achieve energy savings up to 15% higher than standard operating modes. It also provides several advanced functions specific to industries that rely on fans, pumps and compressors, to improve performance further. Some users may have shied away from enabling such energy-saving modes on a.c. inverters because historically they could make the inverter sluggish to respond to changes in the load. However, this is no longer the case, with bestof-breed products incorporating technologies that will eliminate the problem. The FR-F800, for example, contains an “advanced optimum excitation control” technology that switches the inverter automatically between an energy-saving mode and a high-torque mode to suit the needs of the load at any time. With this mode enabled, users achieve the optimum energy saving, without compromising performance. Energy optimisation is a constantly moving target. This means that continual monitoring of energy usage is vital to identify areas ripe for optimisation. Even more fundamental is the need to perform a post-installation survey once an a.c. inverter has been fitted. While there are many energy-saving calculation tools that can make the case for fitting an inverter in the first place, they make assumptions that may not always be accurate in real-world conditions. While the tools certainly provide an indication of how much energy can be saved and show estimated payback times, only a detailed post-installation survey can highlight real energy savings and show opportunities for further optimisation. We can see, that while a.c. inverters offer numerous opportunities to save energy, spending a little time to set up the technology correctly will deliver so much more. It’s impossible to tell how much more energy users could be saving if they really optimised their inverters. What we have found is that even after an a.c. inverter has been fitted, we can often increase energy efficiency by 10% or more quite easily. If you compare this with the relatively small gains in efficiency achieved by upgrading from an IE2 to IE3 motor, for example, the saving really is substantial. The irony is that the capability is often already there, it just needs switching on. 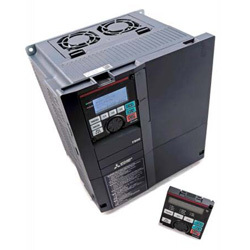 If you require more information or help setting up your Mitsubishi a.c. Inverter, don't hesitate to get in touch with LC Automation. Our Field Sales Engineers or Technical Support Engineers will be able to discuss your application and help to ensure you get the very best solution for your requirements. 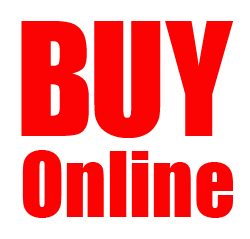 Give us a call on 01254 685900 or e-mail sales@lca.co.uk and we will provide all the help and support you need.